Berlin is the capital of Germany and one of the 16 states of Germany. It is located on the northeastern end along the banks of River Spree. The city is characterized with a temperate seasonal climate which helps the city keep a third of its area under forests, parks, gardens, rivers and lakes the city of Berlin is one of the most beautiful capitals in the world and one would be spending his money well if he vacationed in the city. Below are a few things you need to know about Berlin before you visit. The night clubs and bars of Berlin are opened till the wee hours of the morning. It is the kind of place you are sure to get a tavern open regardless of the time of the night. The city is supplied by hundreds of breweries that scatter its industrial zone. I think the only the Irish can rival the Germans in terms of alcohol intake. If you want to keep on the good side of the Germans, keep of the WWI and WWII. Most of the Germans - especially the older folks - still feel guilty of their country's role in the wars. It is a subject they would rather forget. The Germans are huge people and they can hold their own in any fight. If you tend to get violent when you are drunk, then do not get drunk in a German Tavern...otherwise you will be asking for a serious repair of your dental arrangement or ribs. If not for any other reason, visit Berlin for its many tourist attractions. 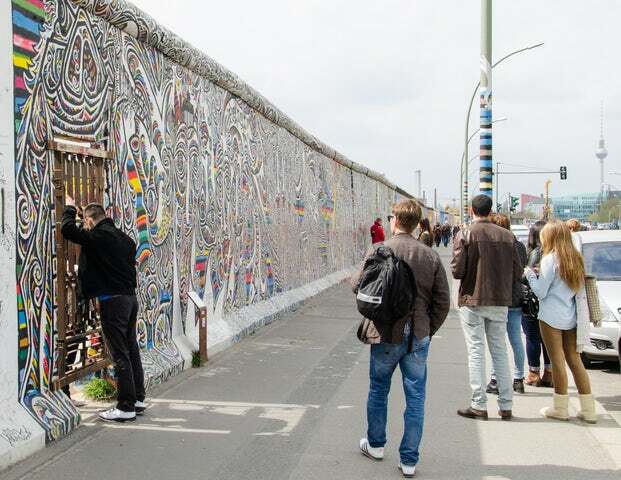 Among the most popular attractions include; Berlin Wall, Brandenburg Gate, Museum Island, Reichstag Building, Potsdamer Platz, Berlin Cathedral, Berlin Zoological Garden, Topography of Terror and many more. Traditionally, Berlin was known for its rustic and hearty dishes that were made with pork, goose, fish, peas, beans, cucumbers, or potatoes. Today, the city is renowned for its vegan culinary delights. If you are a vegetarian or an environment activist, you will be at home in Berlin as the food served here is only the economically sustainable one. Berlin is a popular tourist destination and you will meet people from all corners of the world. If I was you, I would try to make as many friends from other regions as possible...you never know where these friendships may take you.